I love lasagna because it’s one of those dishes that can be two extremes: really challenging and pretentious or simple and understated. 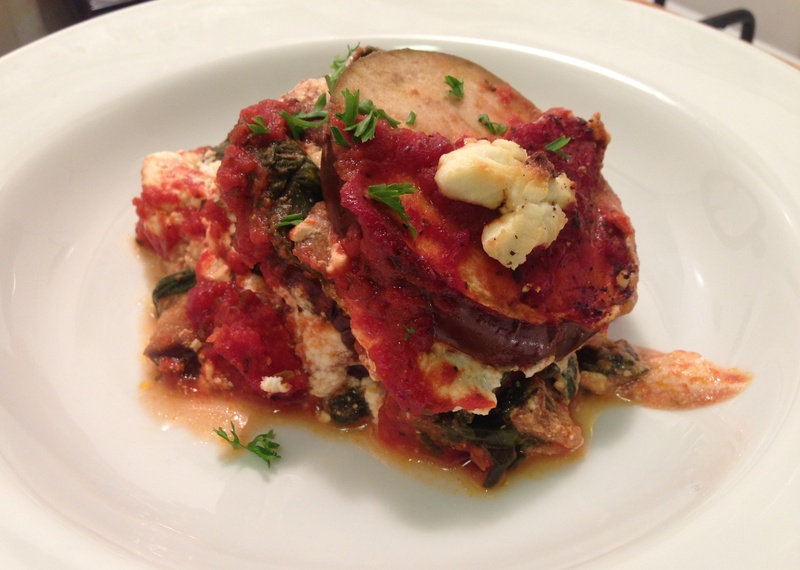 This lasagna is the latter. It’s nothing fancy but it still can run with the pack of its more sophisticated cousins with its earthy flavor. Let’s get started. Preheat the oven to 350 degrees. 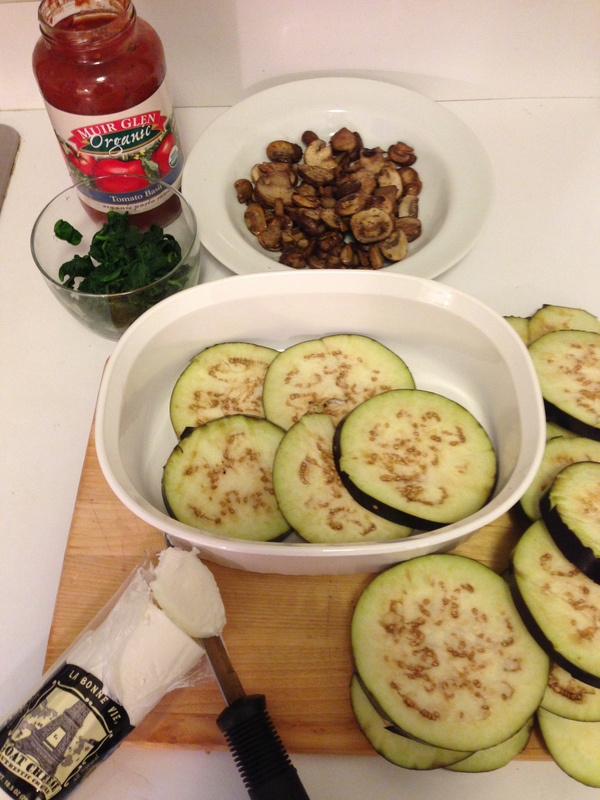 Begin by cooking the mushrooms and spinach. You can cook them however you like. 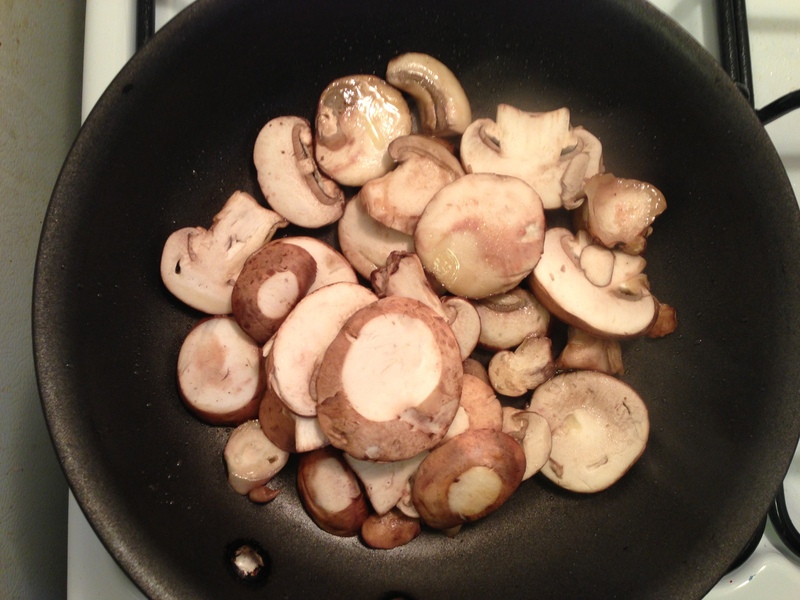 I boiled my spinach and sauteed my mushrooms. After the mushrooms have sauteed on medium high heat for about 5 minutes and turned slightly brown and tender, remove them from the heat and set aside. 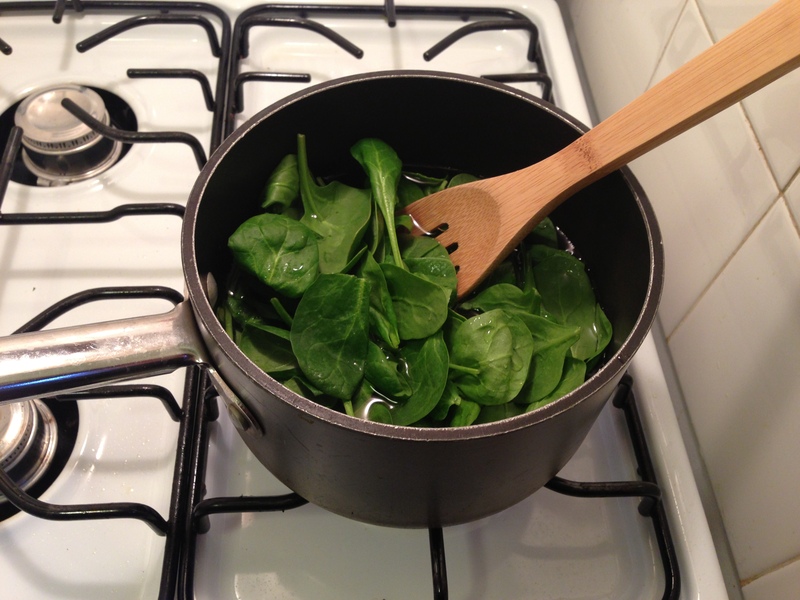 The spinach will only take about 3 minutes in the boiling water to wilt and turn a dark green. Strain them from the water and wrap tightly in a paper towel to squeeze out the excess liquid. 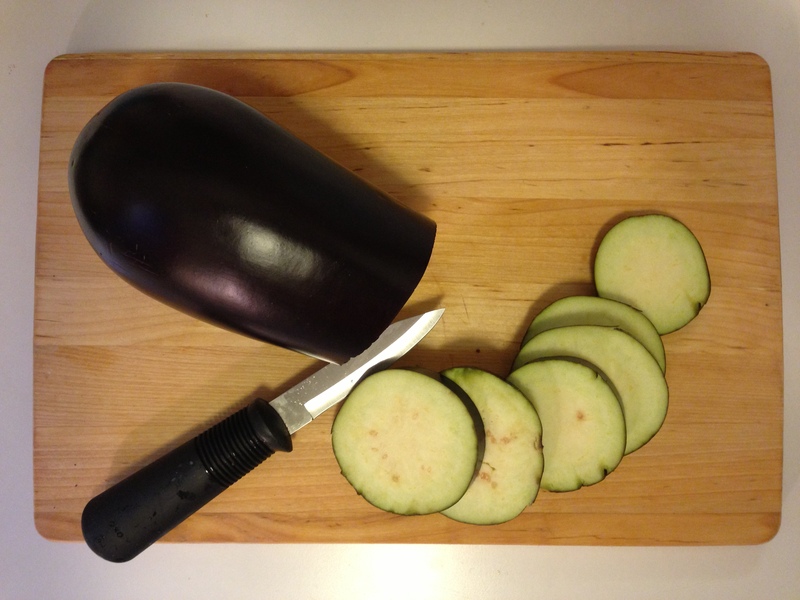 Slice your eggplant into thin discs (about 1/4 of an inch thick or less). Now let’s get ready to assemble — the fun part! 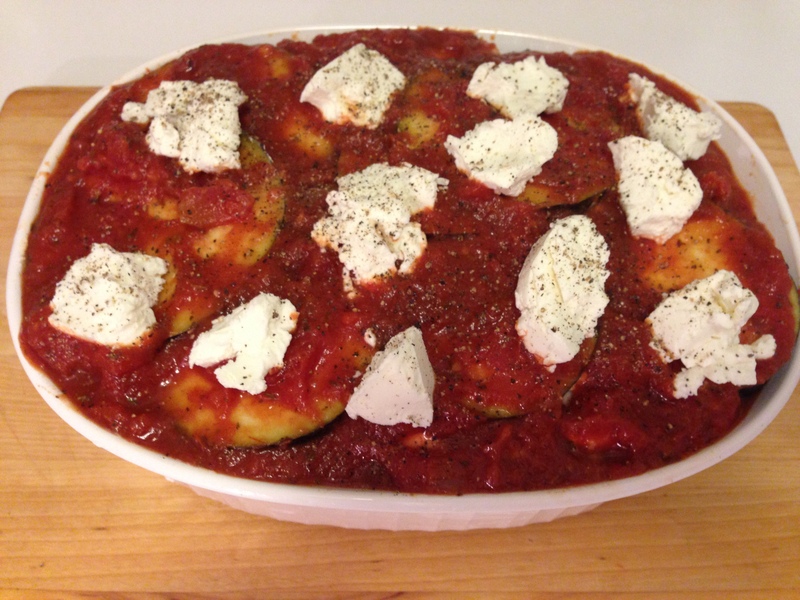 Place your eggplant at the bottom of your greased casserole dish (I just use a paper towel and smear a little bit of olive oil on the bottom). 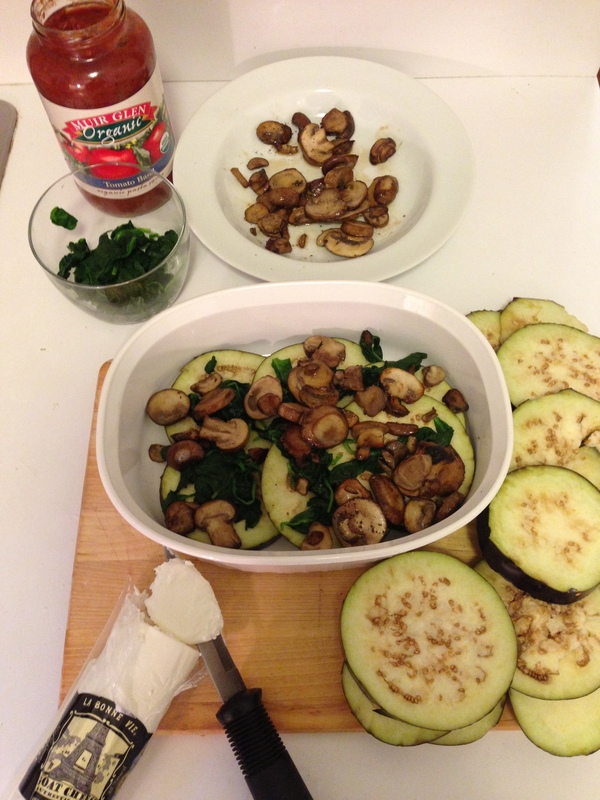 Now sprinkle some mushrooms and spinach on top. 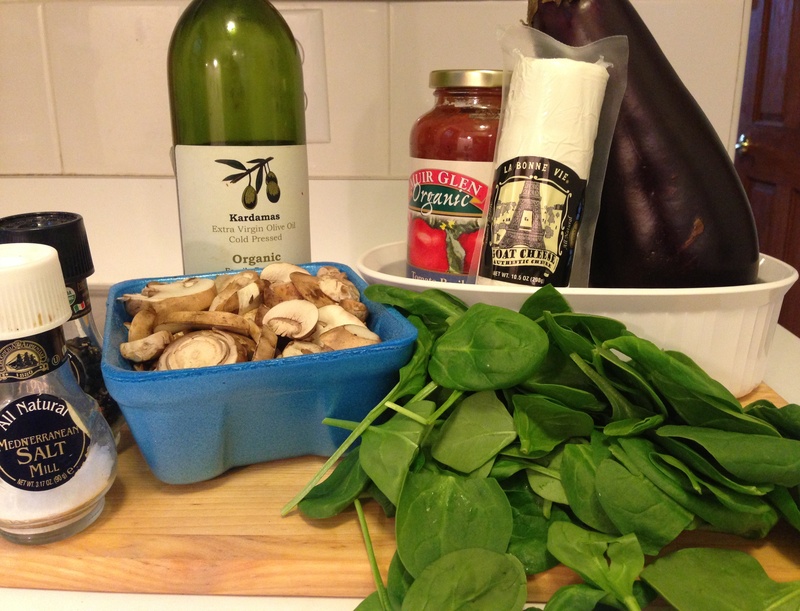 Add a healthy dose of pasta sauce. Dot with goat cheese. Repeat this until you’ve reached the top. It usually takes 2-3 layers. 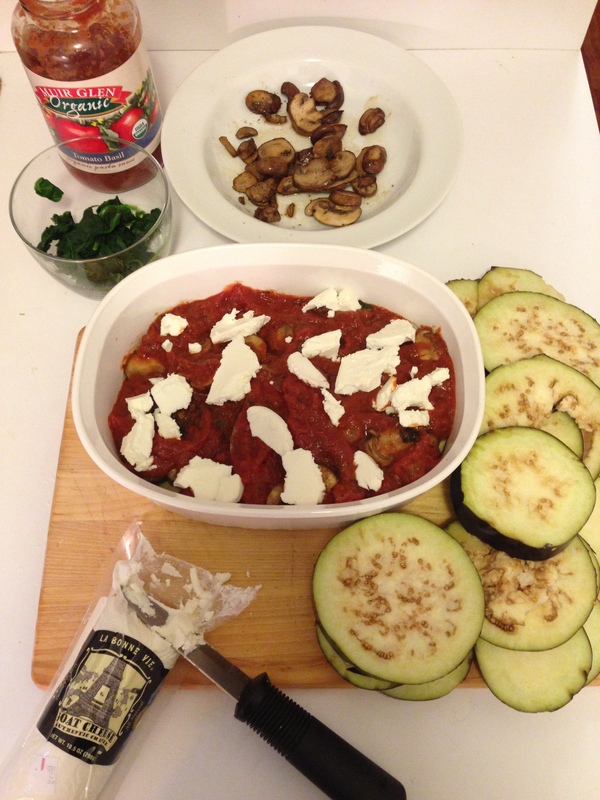 Make sure to end with sauce and goat cheese on top. 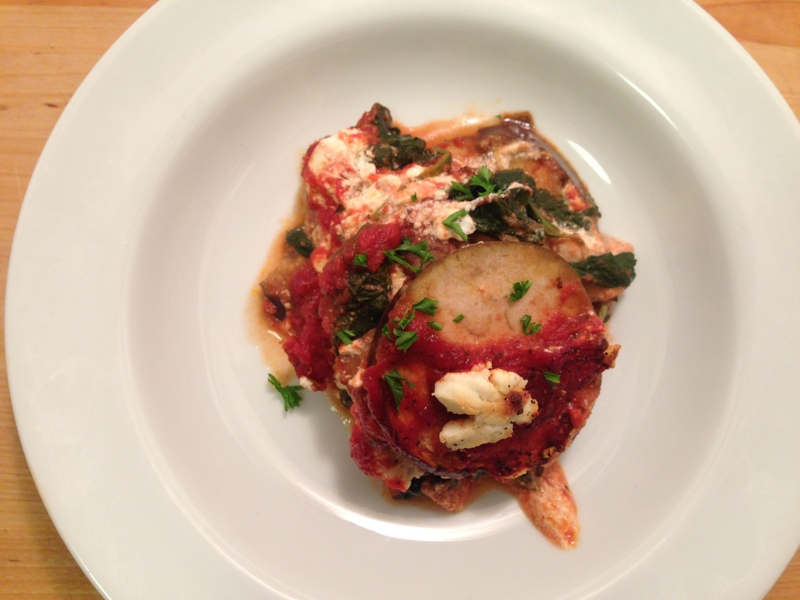 Place the lasagna into the preheated 350 degree oven and bake for a little more than an hour. 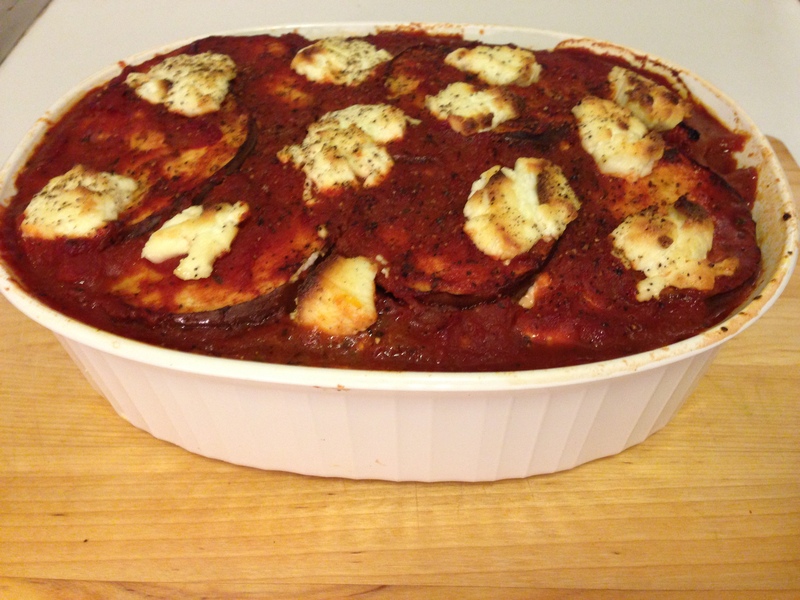 I typically leave mine in for 60-80 minutes to make sure the eggplant gets cooked thoroughly. Fieldhouse Fun Fact: I like eating with smaller-sized forks and have been known to exchange larger restaurant forks for dessert ones. It’s just an odd habit. My best friends and favorite eating partners-in-crime (ie: Leila) always knows to break out the little forks when I’m around.